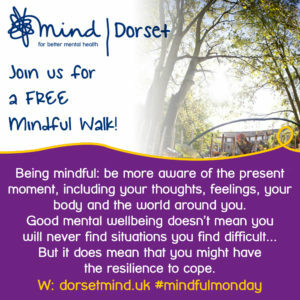 On Monday 24th September, Dorset Mind will join forces with organisations across England and Wales to take part in ‘Mindful Monday’ walking groups as part of the European Week of Sport in partnership with ukactive. As well as promoting the benefits of physical activity for mental health, all participants will take part in a variety of mindful activities. The walk starts at the top of Fisherman’s Walk in Southbourne at 3pm. It will take an hour approximately, for the route details please see our events page. Through this work, Dorset Mind will be supporting people experiencing mental health problems such as depression and bipolar disorder, to build their confidence to engage in physical activity, go to the gym, or take up a new sport such as walking, running and rugby to name a few. There is good evidence to suggest that, as well as improving physical health, regular exercise can boost your mood. It can even help beat stress and even reduce risk of depression. Dorset Mind’s Chief Executive Marianne Storey says, “We all have mental health just as we have physical health, and the two are intrinsically linked to one another. We know that physical activity can play a vital role in the lives of people with mental health problems. This is why we deliver an activities-based support group. Research suggests that regular activity can reduce the risk of depression by up to 30%. We want to encourage more people with mental health problems to engage with physical activity. 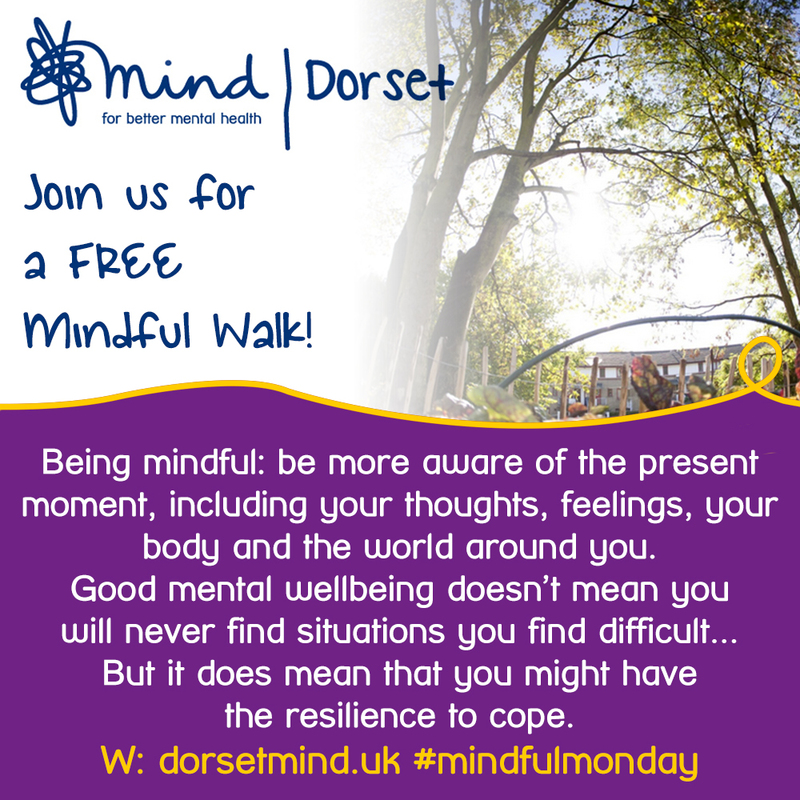 To join us for the Dorset Mind Mindful Monday Walk, call us on 01202-551660, or direct message us on Facebook.